LA Youth » Am I ready to be on my own? Am I ready to be on my own? Six teens share their fears and hopes for when they leave the foster care system. They also say that the system should better prepare them to be on their own. 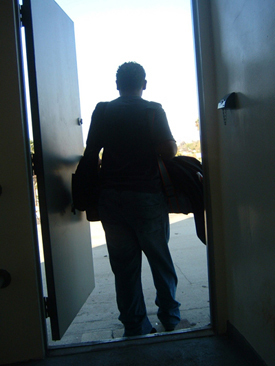 When you’re in foster care, they boot you out at 18 and you are on your own. It’s called emancipating. They have housing, but with 20,000 foster youth emancipating this year and so many trying to get into housing, it’s like trying to win the lottery. I’ve seen a lot of foster kids end up on the streets. They have no family to go to; they have nowhere to turn. They don’t know anything about being on their own. Foster youth have to do so many things for themselves that other teens don’t have to worry about, like calling your social worker for permission to get a job or meet with your siblings, and speaking up for yourself in court. You have to work really, really hard to get support and what you need from the system. When five other foster youth and I got together to talk about emancipating, we felt frustrated and empowered. I heard similar complaints that I’d heard other youth talking about, how they didn’t know about a lot of things they were eligible for, like transitional housing and college financial aid. It was so irritating, it made me mad at the system. The system keeps you safe and makes sure you get all the things that parents would provide. But when you leave, they don’t make sure you are prepared. I think they should make sure everyone who is emancipating knows about the services they are eligible for. They shouldn’t put you out unless they know you are ready. After I emancipate, I plan on going to college while living in transitional housing, which will be an apartment that the system will pay for for a few years. I am excited because I can do what I want, but I’m worried it’s going to be too much freedom. I don’t want to do something that will get me in trouble and get me kicked out. I wouldn’t have family to go to. I’d have to go to a friend’s house and life would be a lot harder. The following are selected comments from six youth in the foster care system, at a discussion organized by L.A. Youth. L.A. Youth Editor Amanda Riddle: The big thing in your life when you get to be this age is, ‘What am I going to do when I turn 18?’ The system is supposed to be the mom and dad taking care of you and making sure everything is being provided for. Do you think that’s happening? Loretta Jordan, 18, Long Beach City College (Westchester HS graduate): A week ago, I was talking with my grandmother about emancipating, but I have no knowledge of what I have to do to take that step. I found out through the community program I go to that there was even an emancipation program. They were talking about it: ‘Me and her have an apartment together. We have a job.’ I was thinking about it, I want that for me. I didn’t know who to go to or what I need to do. I felt mad because I wasn’t given that chance and I was supposed to be given that chance. Whoever is responsible for letting me know what’s out there for me didn’t do that. Amanda: Trayvione, what do you hope to do? Trayvione Travis, 17: Go to THPP [Transitional Housing Placement Program] in February. … I’ll basically be on my own, but there will be somebody to check on me once in a while. You have your own room. Loretta: My cousin … was in transitional housing before I was. He had information on it, but I didn’t know nothing about it until now. Aaron Shaver, 18, The Linden Center: Your social worker is supposed to let you know about it, even before you turn 18. When you turn 16 you go to ILP [Independent Living Program]. [You learn] independent living skills, like they teach you how to get your phone and utilities turned on, how to manage money, job skills, how to act at an interview; basically how to live on your own. Amanda to Luis: Do you have a social worker helping you? Luis Sanchez, 18, Otis College of Art and Design: At the moment yeah. We’ve been trying to get me into the program [transitional housing]. … I was hoping to get help with paying tuition and other stuff I would need for school. And a close place to live because I live far from school. Shimia Gray, 17, Centennial HS in Compton: I still have a year until I emancipate, but I am scared to emancipate because I have been running away a lot and that affects what types of chances I have to get into transitional housing. My social worker says it’s going to be hard to get into transitional housing, because people are not going to want to accept me because they think I will be acting out. … Some days I’m like ‘I can do this.’ But sometimes I’m scared because it’s a big world and the world is changing every day. Sometimes I’m scared I won’t make it, everything is expensive. What I want to go to school for, writing, sometimes I’m thinking I’m not going to make a lot of money off of it. Aaron: You don’t always get it [transitional housing] in the city that you want. You might live in L.A. and want to get in L.A. but you might get it in Palmdale or Pasadena. Because it’s not always open in those places or that place might not accept you. Amanda: When you hear statistics like 25 percent of foster youth will be homeless four years after emancipating, you think, how could that happen? Loretta: It’s hard to get individual help in the school system, so I know it’s going to be hard for the government to give us the individual help that we need. But I am not asking them to go that 100 miles, but at least that extra mile to help. I want to meet somebody halfway, or make it fair. Trayvione: I’m asking them to go the whole 100 miles. Because only 2 percent of those kids graduate from college. I really feel that’s a shame. The only reason that 2 percent graduate from college is that the government is not giving them the stuff that they need. It’s a shame when most of them don’t get the help that they need in foster care and the help that they need in school. In my school, I’m not learning what I need. They are using old books. Amanda: Are nonpublic schools [which many foster youth attend] teaching foster youth? Shimia: They teach you like you are retarded. Brandy Hernandez, 15, Hawthorne Academy: A lot of kids at my school are in the system. My school, I think they can give you a good education if you are on top of it. … I just met with my assistant principal, asked her if I had all my credits and what I needed. My school does not offer AP classes so I will be going to Southwest College to take those extra classes. My school is a small school so they don’t have those classes we need to get into a certain college [like a UC]. Shimia: I was in the group home David & Margaret. I went to school on grounds, and now that I am in a foster home those credits for some reason don’t count, so now I am 90 credits behind and I’m in the 12th grade. … I was taking regular classes: math, earth science, P.E., everything you start out with at high school. Amanda: What are you going to do, 90 credits behind? Shimia: I really, really want to graduate, so this year I am on top of my game, doing whatever I got to do, doing extra work, trying to show them I am trying to do something; I started on my senior project. My counselor said she is going to help. They said my best bet is to go to continuation school. Amanda: How is the system helping you? Shimia: The one who really is trying to help me with my school is my lawyer. My social worker … has more than she can handle. She’s one of them social workers that if you are alive and breathing, that’s all she cares about. When she comes to see me it’s for five minutes. She hands me my bus pass, saying am I doing OK? Am I harmed? I say no and she leaves and she comes to see me the next month. I never really have a conversation with her. Right now I’m trying to help myself. There are people helping me but I’m the only one who can do it because it’s for my future, it’s not for nobody else’s. Luis: What I did when I was in a nonpublic school and I had chances to go to court, I would complain to the judge. That’s all you got to do, just bug them and bug them and they’ll do it eventually. Amanda: What didn’t you like about the school? Luis: They only had six basic classes, they didn’t have that extra stuff that you needed, economics and other stuff. They just had basic history, basic math. Trayvione: Advocate for yourself. …When they wasn’t getting visitation for me and my brother and my sister, I told my social worker if he could ask for my visitation, and the next thing you know my social worker wasn’t even showing up at court. So I had to go and do it myself. When I went in there they just started talking and then it [the hearing] was over and they asked me to leave. I was like, wait a minute, so I stood up to say something. They asked what was the issue and I said my social worker wasn’t signing up visitation. I told them I wanted visitation and I’ve been asking for it for a couple months and I want a new social worker. I got my new social worker and they got me my visitation. It’s court ordered that I get visitation once a month. Amanda: You get to see your brother and sister once a month? Trayvione: Yes. They’re all the way in Palmdale and it’s really hard for me to go out there. Amanda: Do you feel you are emotionally ready to handle life at 18? Trayvione: There’s always going to be stuff that you’re not going to know how to handle, because when you’re in the system you always have somebody on your back telling you what to do or telling you where to go, doing things for you. Then you have all this freedom and sometimes you won’t know what to do with it. … It’s going to be a lot put on me at once. Loretta: If you’re going to cut off our resources at 18 at least make sure we are ready to make that next step. Trayvione: I think what the system should do now is help the kids to be independent. Right now what my house [group home] does to help us be independent is they teach us how to transport ourselves to our doctor’s appointments, to self-transport ourselves to school. They teach us how to cook, how to do store runs; like ILP but in a group home. Every day. And that’s a good thing. I think that’s what they should have at all group homes.